Toyota has unveiled the production ready Mirai fuel cell vehicle which has a range of 300 miles before it runs out of hydrogen. The Mirai fuel cell can refill hydrogen in just 5 minutes. Mirai meaning “Future” in Japanese gives Toyota an opportunity to get the tag line “the future has arrived”. Toyota Mirai will reach dealerships in japan in April 2015 and later will make its to North American shores as well. 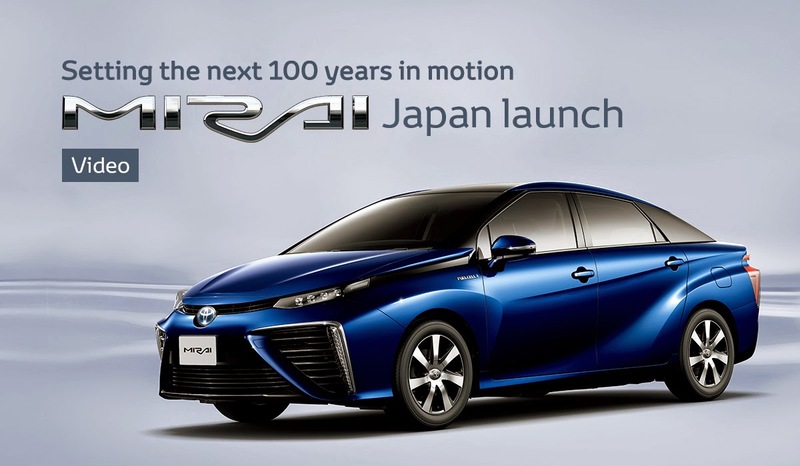 Toyota Mirai will cost around $60,000 when launched in Japan.